GTA V is back! After a year of being on last gen consoles it has decided to jump over to Next Gen, where I believe it should have been in the first place. 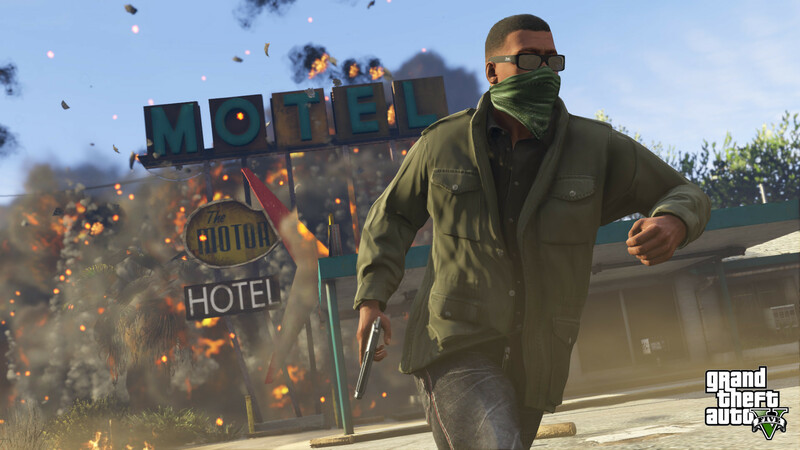 While some people may be a little reluctant to come back to GTA V, it is better than it was. 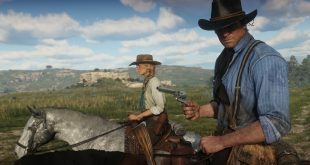 While the online still has some issues, they have changed up many things to improve the game and even added some things to turn GTA in to a completely different game. GTA V now offers a much more beautiful and fleshed out experience. Whether it be in story mode or in online mode, even without heists, GTA V’s newest addition is worthwhile and worth purchasing. The game plays at full 1080p and is locked at 30 FPS. The game mostly improves upon the technical enhancements. While GTA V looked fine on PS3/360, I was not very blown away by it. By the time it had come out I had already experienced The Last of Us, GTA V did not impressive me very much. What was impressive about the initial release for GTA V was the amount of things, the size of the world, and the lack of loading screens. This time around though the game looks great. With increased resolution, draw distance, detail, and texture resolution, GTA V soars with beauty. While GTA V had some impressive technical feats on last gen, this current gen is where it stands tall. 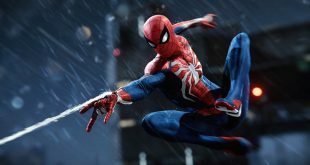 Not only are these improved, according to the Rockstar’s press release they have also increased the image quality with EQAA, high-quality FXAA, Anisotropic filtering, tessellation and displacement mapping, enhanced facial animations, and parallax occlusion mapping. GTA V on current gen consoles has a number of new technical advancements, but it also has more to it than just that. The all new First Person mode allows you to experience GTA as it has never been. First person adds over 3000 new animations into the game for weapons interactions alone. So they didn’t just upgrade the game technically speaking, they’ve added more to it. They have added animals with soft fur, new seas and land animals, increased foot and vehicle traffic, enhanced facial animations, 12 new weapons, 32 new vehicles, over 150 additional songs, more commentary from radio hosts, and more Danny McBride! What more can you ask for in a GTA game? Well, if you want online you can have that as well. Unlike last gen consoles, this time we don’t have to wait to play it. 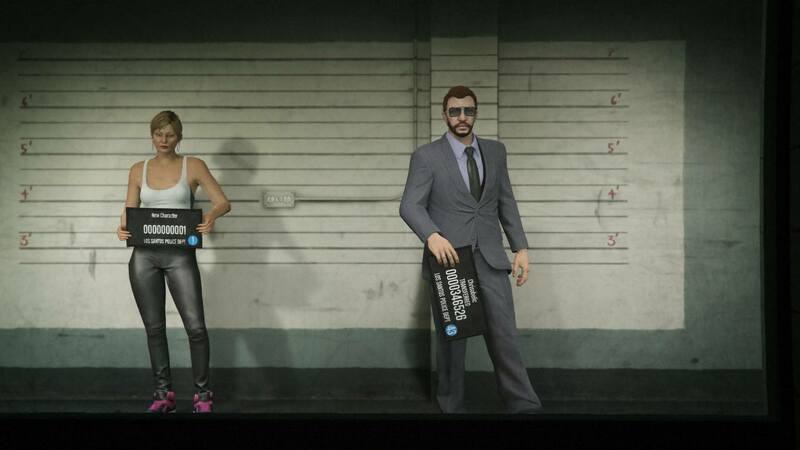 While we still have to wait for heists in GTA Online, you can transfer your character and all of their belongings. You can do this simply by signing in to Rockstar’s Social club under GTA V’s Online menu. 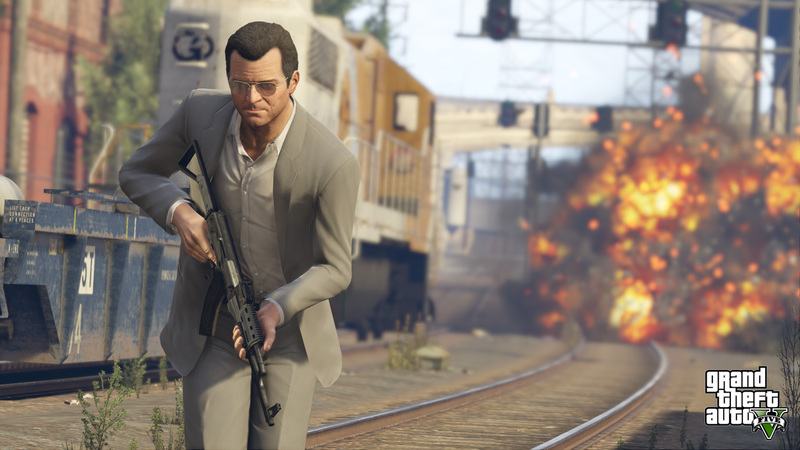 GTA Online now allows 32 players in games, with 30 actual players and 2 spectators. The online also has new additions and new features as well though. GTA Online now has a new character creator, new online/job lobby, 150+ new props for the GTA Online creator tool, 13 new weapons, and 32 new vehicles. It’s an awful lot to take in as well, even if the heists are not in yet. The only real thing missing would be the heists for GTA Online. 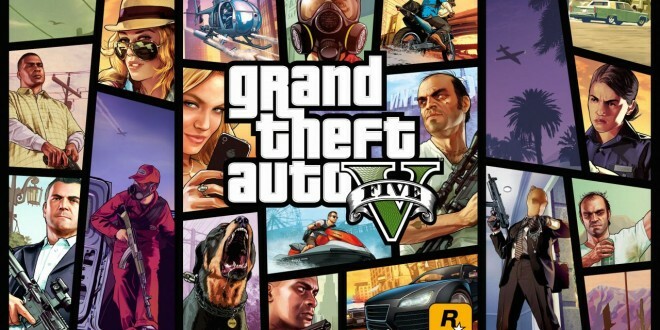 Rockstar has assured us that they will be here soon, but they did that with the initial release of GTA V last year. The heists will hopefully not be pushed back again and that’s the only real issue with this version. GTA V’s re-release also gives back a little to it’s returning customers, offering exclusive events and rewards to these returning players. These missions range from a Murder Mystery to Wildlife Photography Challenge. These give players some new things to experience and exclusive rewards for doing them. It’s things like this that add to the experience and make it worthwhile to returning players. 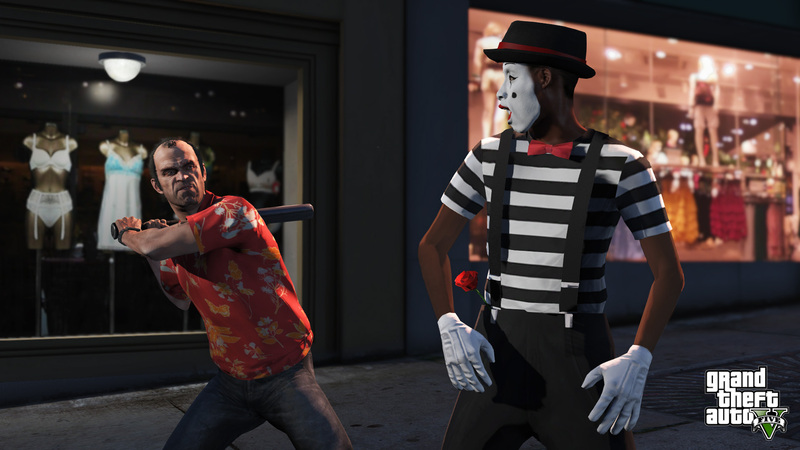 GTA V is back and it's more beautiful than ever. They have not only beefed up the visuals though, they have added several other features in to the game. 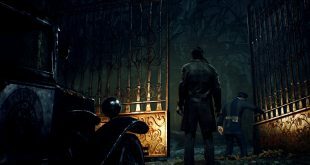 The game overall is an improvement worthy of returning to for many players, but if you were waiting for heists, then you will have to wait longer. The first person mode gives you completely new perspective to the GTA series and it alone was enough to titillate me in to coming back. With visual and technical improvements everywhere, new additions, and new features, GTA V feels like a much more fleshed out experience this time around.